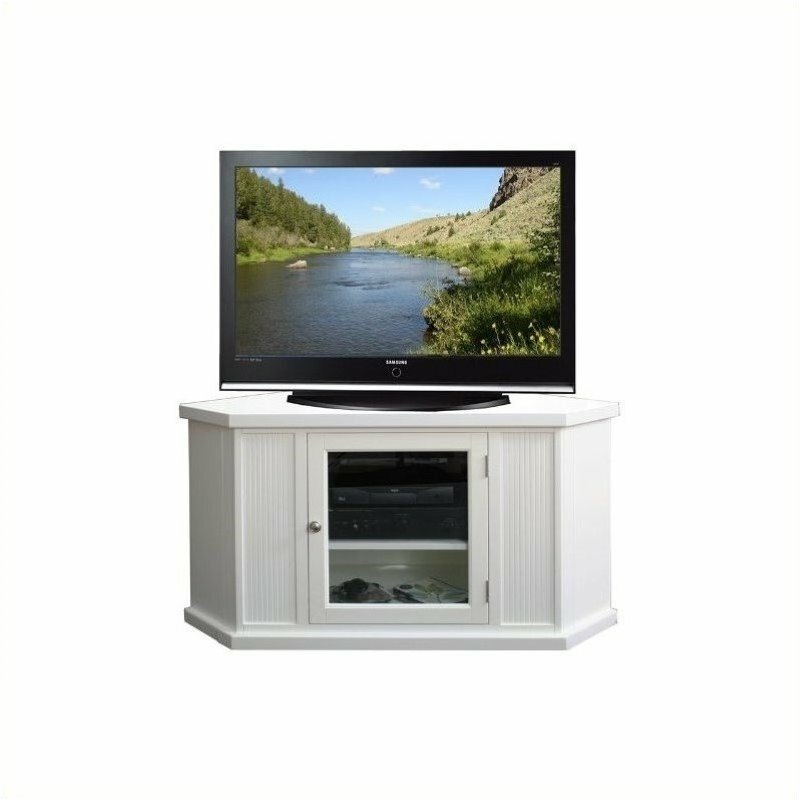 The Leick 46" Corner TV Stand is designed to handle TV's up to 50 inches. Maximize the usable space in your room with this space saving corner design. Constructed of solid hardwoods and birch veneers this TV stand will withstand many years of use. The adjustable shelf offers flexibility in housing your electronic pieces and the tempered glass door makes remote control use a snap. Sturdy design allows up to 240lb. weight bearing capacity and the simple folding assembly design means it takes minutes to assemble the TV stand versus hours.